Quick post this morning. I am going out of town. 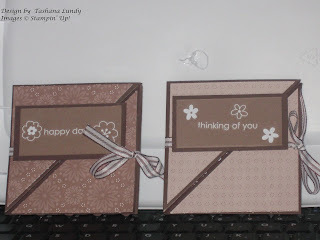 I made these cute and simple cards with no stamping. I used some retired SU rub-ons, cardstock, and DSP. The ribbon is non SU. 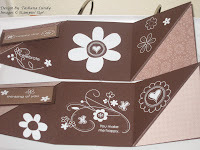 I just love how the white looks on the Chocolate Chip cardstock.